David W. Lange is the 2017 recipient of the American Numismatic Association’s (ANA) Numismatist of the Year Award. The award honors an individual within the numismatic community who has demonstrated long-term leadership in the field and to the Association. He will be presented with the award on Friday, Aug. 4, during the awards banquet at the World’s Fair of Money® in Denver. As an author and researcher, David Lange is adept in a wide variety of numismatic areas. The longtime collector specializes in United States type coins, Philippine coins and notes from 1903 to 1945, and British coins from 1816 to 1970. He pioneered the study of coin-collecting boards and folders, writing three volumes and designing and maintaining a website on the subject. As the research director for Numismatic Guaranty Corporation (a position he has held since 1994), Lange has enabled the company’s website to record and publicize all NGC-recognized varieties. He also created the VarietyPlus® page, which associates coins with a standard system of descriptions. 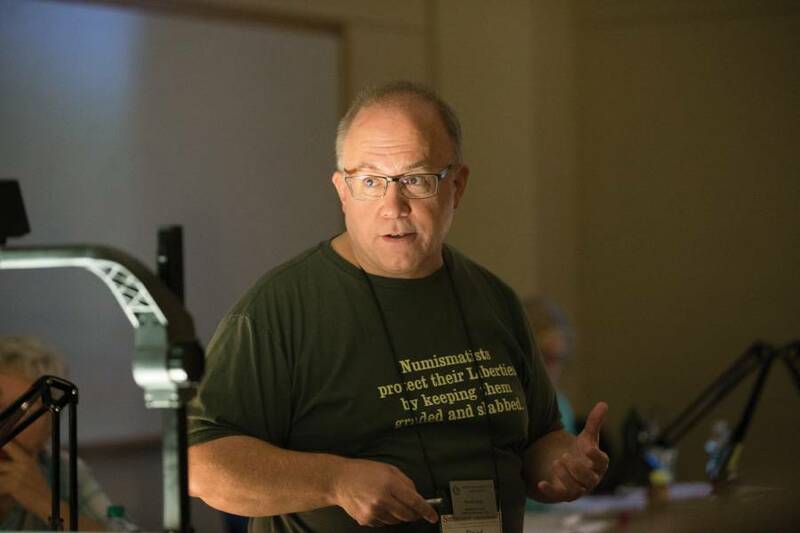 A 19-year member of Mensa, Lange is respected for his numismatic knowledge and discoveries. In 1980 he reported a 1900-01 hub variety of Barber quarters, and in 2001 identified a 1922 medium-relief Peace dollar in currency strike. Since 2013, he has located doubled-die shield nickels for 1867, 1868 and 1872 and an 1883/2 overdate. Lange has served as an instructor at ANA Summer Seminars since 1995. Past ANA honors include the Presidential Award (1994, 2008), Heath Literary Award (1998), Wayte and Olga Raymond Memorial Literary Award (1999, 2007 and 2009) and Lifetime Achievement Award (2009). He was elected to the Rittenhouse Society in 2005 and was named a Numismatic Ambassador by Numismatic News in 1994.